Scott Pauley was raised in the mountains of West Virginia. At a young age he came to know the Lord Jesus Christ as his personal Savior. As a twelve year old boy God called him to be a preacher. 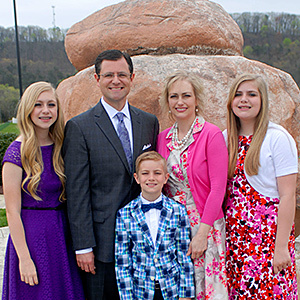 He attended The Crown College in Powell, Tennessee, and upon graduation served in the ministry of the Temple Baptist Church as Director of Student Ministries. From 2004 to 2015 he served as Vice President of Crown College and an assistant to Pastor Clarence Sexton at the Temple Baptist Church. Dr. Pauley now travels full time in evangelism. His passion is to preach the gospel and he has a burden to influence this generation for Christ. He and his wife Tammy have three children: Morgan, Lauren, and Grant. Helpful Articles from "Enjoy the Journey"